Azure SQL Database Query Performance Insight helps you understand the impact of your query workload on database resource consumption. In minutes, you can monitor how your apps utilize your database resources and implement necessary actions to tune your database and/or your application. Getting started is very easy and fast – it only takes a couple of clicks. Query Performance Insight will show you the CPU consumption of your top queries over time, with drilldowns available for each query, to the level of query text. This will help you discover potential performance issues quickly and resolve them before your customers are impacted. 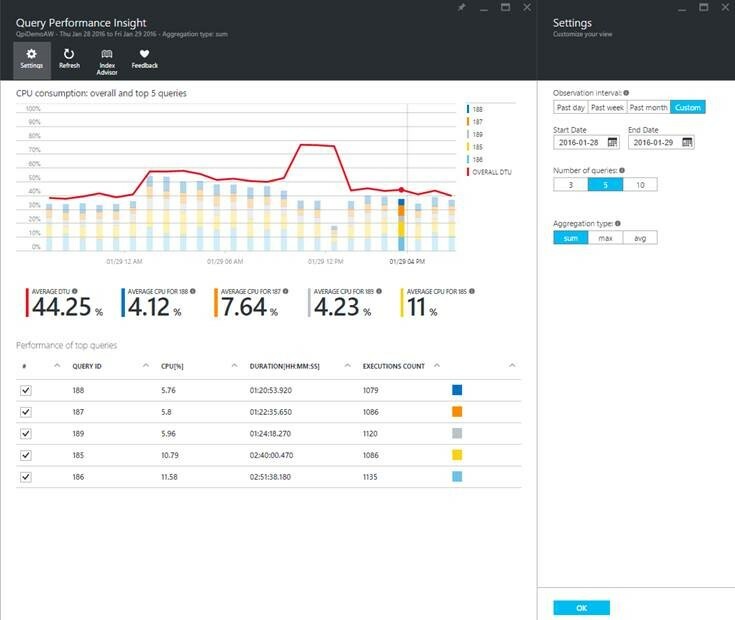 To learn more about Query Performance Insight, check out Azure SQL Database Query Performance Insight.